Have you ever seen Voltron? It was this great cartoon featuring the big robot guy pictured in this post. Every episode would start with five robot lions, controlled by the main human characters, trying to defeat giant monsters ("Robeasts" if we want to get technical). Sadly, the five lions could never get the job done... but, the five lions could combine to form one giant robot: Voltron! Voltron was unstoppable and would always slay the Robeasts and save the day. What does this have to do with employment law? Moreover, even if it was, in fact, interstitial cystitis that caused the majority of her symptoms on Friday and Saturday, the interstitial cystitis and herpes may be considered together when determining whether Fries' illness constituted a "serious health condition" under FMLA. "[S]everal diagnoses, if temporally linked, no one of which rises alone to the level of a serious health condition, if taken together, [can] constitute a serious health condition." Price v. City of Fort Wayne, 117 F.3d 1022, 1024–25 (7th Cir.1997) (explaining that "it is not the disease that receives leave from work; it is the person" and that "multiple illnesses" may have "a serious impact"); see also Caldwell v. Holland of Tex., Inc., 208 F.3d 671, 676 (8th Cir.2000) (citing Price and noting that "medical diseases do not afflict people in methodical and predictable ways: certain serious diseases can elude diagnosis, change in severity, and have cumulative effects on the body over time"). Here, it is reasonable to consider two diseases, which are temporally linked and affected the same organ system, together when determining whether Fries suffered from a "serious health condition." Note that the Court did not hold that employees can combine any two conditions. Instead, the Court emphasizes that the two conditions were "temporally linked" and "affected the same organ system." 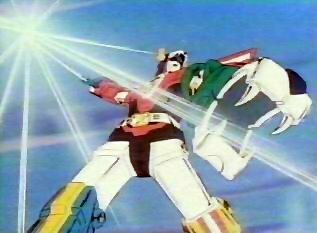 Image: Low-res screen grab; fair use in commentary on Voltron.